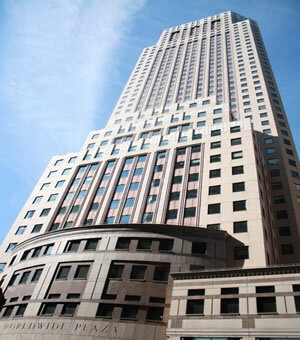 Located at 350 West 50th Street, Two Worldwide Plaza is a post-war skyscraper offering luxury apartments for sale. The 39-floor building in Midtown West was completed by William Zeckendorf Jr. in 1989. 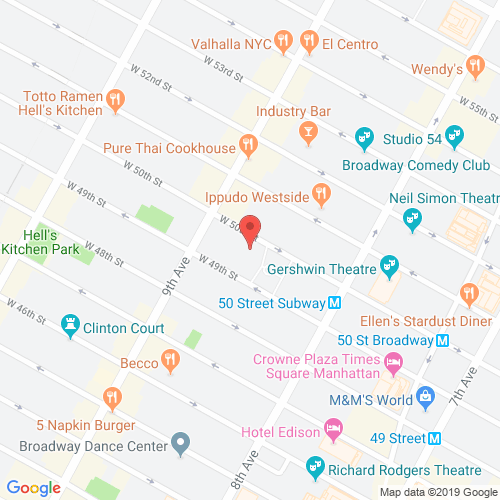 Today, it is part of a three-building design that stretches an entire block between 8th and 9th Avenue from 49th to 50th Street. worldwide-plaza.com has no association or affiliation to the building, developer, or management company. By submitting your contact details you agree to be connected with a licensed real estate professional who has been deemed to be a specialist in this building and/or neighborhood. Two Worldwide Plaza Condominium 2010-2019. All rights reserved.